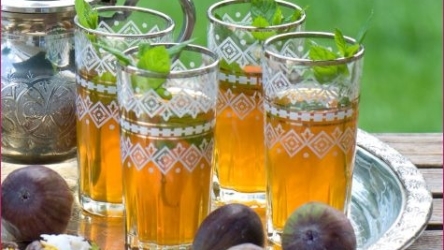 Thé à la Menthe is a Moroccan food recipe for mint and green tea. Rinse a small teapot with hot or boiling water and pour water out. 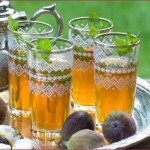 Place tea, mint, and sugar in teapot and refill with 3 cups of boiling water. Pour through a strainer into small heat-resistant glasses and serve hot.